There is nothing more frustrating than having a problem and not knowing who to turn to for help. Here at Action Garage Door, we understand your frustration. Because we care about the excellence of our service, we hire only the best technicians. We work hard to ensure that we never send anyone with a criminal background to your home or business. In addition to hiring quality employees, we do not rest until they are trained to meet the high level of expectation that we have for delivering quality garage door repair service. Finally, we always allow you to do the final programming in order to keep your possessions safe. Jake was very professional and very informative. Our technicians are the best in the business. We respect your home and business and would never send anyone whom we would not trust at our own homes. In order to do everything possible to keep up a high standard for our employees, we require them to pass a thorough background check. We also speak with references from their previous employment to further screen them. Rest assured that we take your safety seriously and we are confident about the trustworthiness of all of our employees. In addition to being friendly and trustworthy, our technicians are highly skilled. We hire professionals who are serious about providing superior service, and then we give them additional training. By the time they show up at your door, we have deemed them competent to perform any garage door repair that you may need. Whenever we install new garage doors or do any other work that requires setting remotes to open your door, we allow you to perform the last steps of programming. After carefully walking you through the process, our technicians stand back and let you do it. In this way, you have an extra level of protection for your belongings. 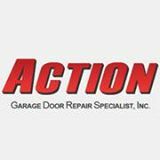 Call us at Action Garage Door for service you can trust. You may reach us at 972-299-8980 for any garage door repair job. For anything from simple fixes to emergencies, we are there for you.